When it comes to insomnia, doctors use a wide array of approaches to perform a diagnosis. These insomnia tests and diagnosis are used to understand the symptoms of a particular patient and decide on a proper treatment. Some of the measures taken to diagnose insomnia can be done at home, but others require a visit at the doctor’s office or at a sleep clinic. Generally speaking, there are plenty of ways to improve the sleep. These include both behavioral and psychological steps. There are many ways to improve your sleep that involve psychological and behavioral steps. Some ways to do this include general sleep hygiene, relaxation techniques and cognitive behavioral treatments. There is no definitive diagnosis for insomnia. However, if you wonder ‘do I have insomnia’, there are many ways to find out. Doctors may use various diagnosing tools to determine whether one suffers from insomnia or not. Tools are used to measure the symptoms of insomnia, including logs, questionnaires, medical history, personal history, blood tests etc. If you are suffering from some of the common insomnia symptoms, you can always discuss this with your doctor at one of your regular visits or on a specially made appointment. Sleep troubles can happen to anyone once in a while and this is why people consider them to be a normal part of life. However, it is important to realize that sleep is an important thing that, when insufficient, can harm the person’s health. Annual routine visits do not address sleep as a part of their examination. Therefore, it is the job of the patient to bring up the topic if they are having difficulty sleeping. Taking into consideration that medical history is the most common cause of this, the first step is to ask your doctor whether this is something that could indicate to insomnia in your case. What are your sleeping difficulties? Do you have trouble staying asleep, falling asleep or do you wake up to early? Or perhaps you feel tired after a good night sleep? How often do you have troubles sleeping? What is your sleep schedule like? When do you go to bed, wake up and do you take naps? If you do, how long do they last? Is your schedule different for weekdays and weekends? Do you adjust your sleep according to your work? What is it that you do when you have trouble sleeping? Do you read or watch TV? Do you work on your laptop or get out of bed and walk around the house? Is there anything you have done that has helped you fall asleep before? When you have difficulties falling asleep, do you worry about things? Do you feel anxious? What does your sleeping environment look like? Do you sleep alone? What is it like in your room when you sleep: dark or light? Do you find your bed and pillow to be comfortable? Is there anything that disturbs you during your sleep? Have you gone through major changes such as a move or a new job? Have any stressful circumstances happened in your life recently? Do you suffer from other medical conditions? If you do, have they affected your sleep before? Do you take any new medications? Giving your doctor sufficient information on your symptoms will help him provide you with a proper insomnia diagnosis. The doctor will most likely diagnose insomnia in patients based on medical history and sleep history, as well as a physical exam. Additionally, you should expect many questions regarding your work and leisure habits. You may be asked questions about your caffeine, alcohol and tobacco use, exercise routines, work routines and travels. All these questions can help in the process of diagnosing insomnia. The insomnia evaluation must include other things beside insomnia test results, such as a detailed medical history of the patient. This is concluded on the basis of several questions regarding the sleeping issues of the person who is visiting the doctor’s office. In addition to these questions, a patient may be asked to fill a questionnaire regarding the sleep and wake pattern and daytime level of sleepiness. Some doctors recommend keeping a sleep diary for duration of a few weeks. If you wish to help your doctor with the diagnosis, you can keep a sleep diary and hand it to him when you visit. This diary should be kept for duration of 1 to 2 weeks. It should include your time of going to sleep, waking up and taking naps. Another part of the insomnia test is the physical exam. This is done to rule out other medical problems that may lie behind your sleeping problems. The physical exams are performed in order to look for signs of other problems that may be the key to the right treatment for insomnia. Additionally, the doctor may do a blood test at some occasion to check for other conditions that can cause this disorder, such as thyroid problems. Sometimes it is difficult to uncover the cause of insomnia based on the results of these tests. This may be even more difficult if the patient suffers from other sleep disorders such as restless legs syndrome or sleep apnea. When this is the case, the doctors may request that the patient spends the night in so called sleep centers. Tests at the sleep center are done in order to record and monitor body activities of the patient while they sleep. These include breathing, heartbeat, brain waves, and eye and body movements. A sleep study called polysomnogram is commonly used for sleeping disorders. If there is an underlying sleep disorder causing your problems, this is the way to find out. 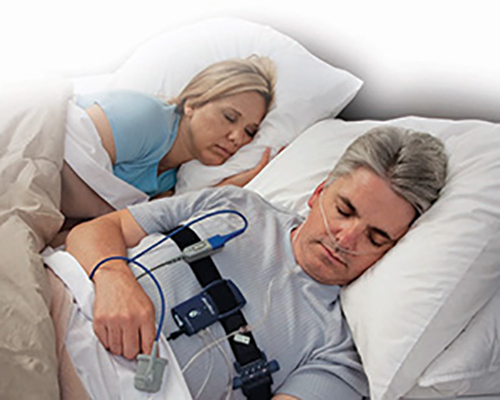 Staying overnight at a sleep center can help greatly in making good insomnia diagnosis.